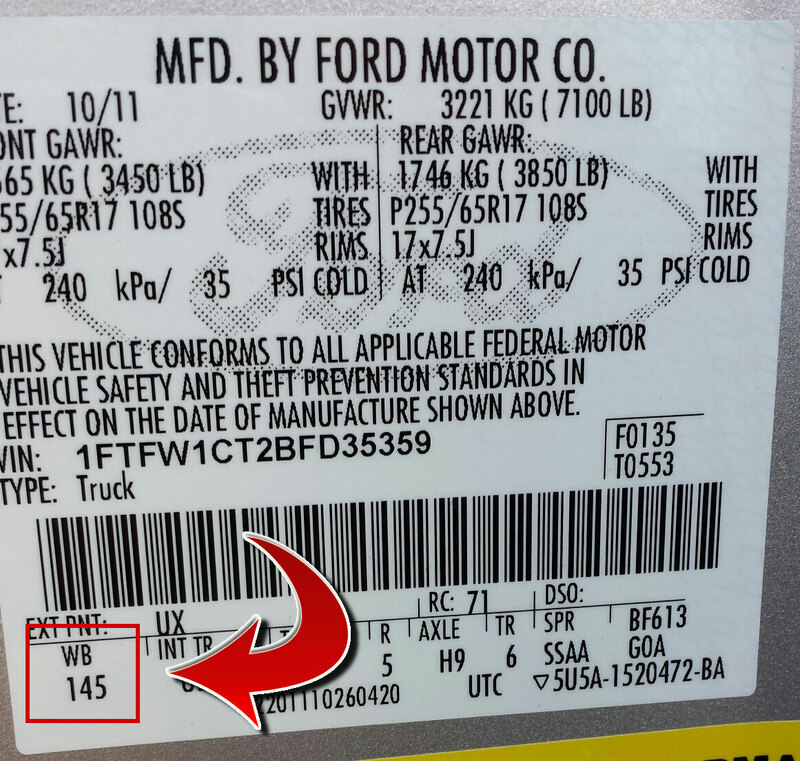 The bad news about the 2015-2019 5.0L V8 F150 is that their factory-equipped sound isn't all that impressive. 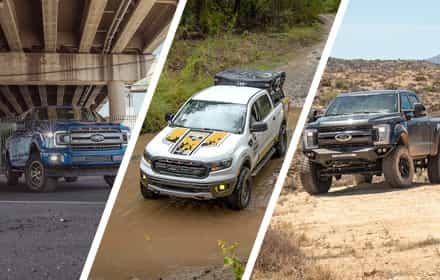 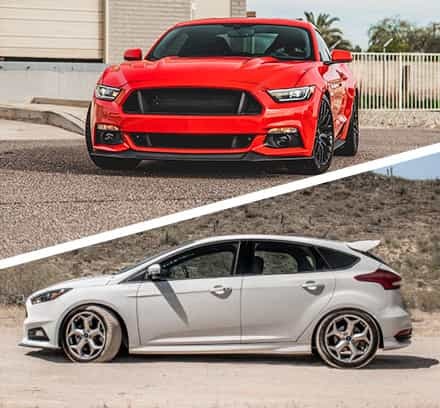 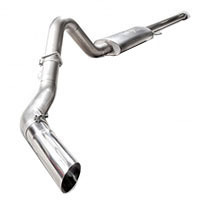 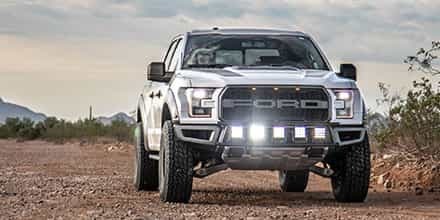 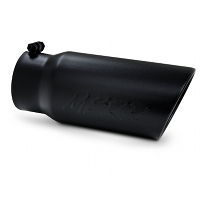 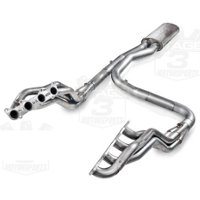 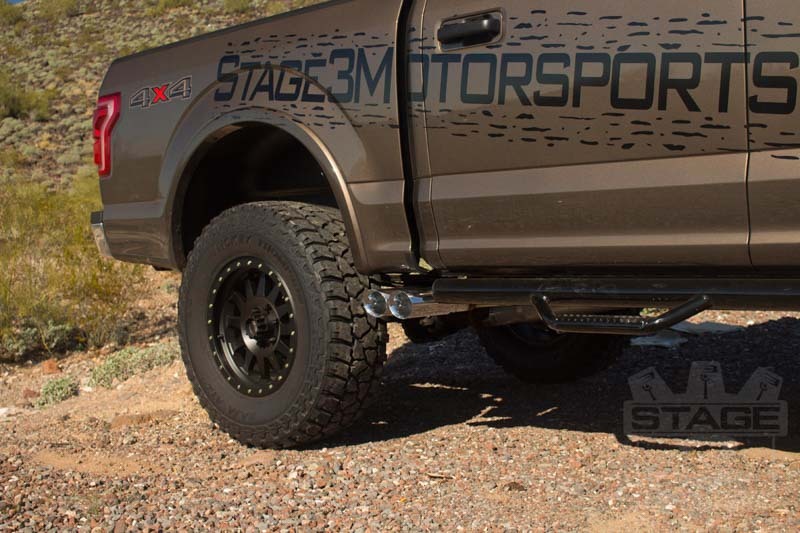 Unless you're going for a more quiet F150, the only way to get a much more tough sound out of your V8 that matches it's aggressive looks is to go with an aftermarket exhaust components from Stage 3. 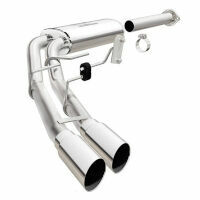 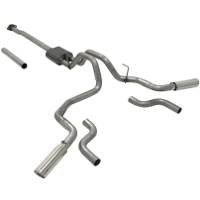 Cat-back kits add a great sound, while long tube headers add big-time power! 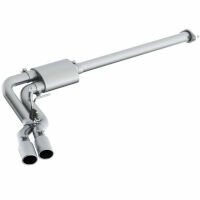 Ships from manufacturer in 3 business days Free Shipping! 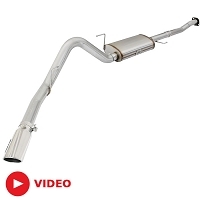 One of the greatest injustices made to the 2015 and 2018 F150 5.0Ls by Ford was including an exhaust system that made that Coyote V8 sound like a little kittens purr, instead of a powerful V8 engine. 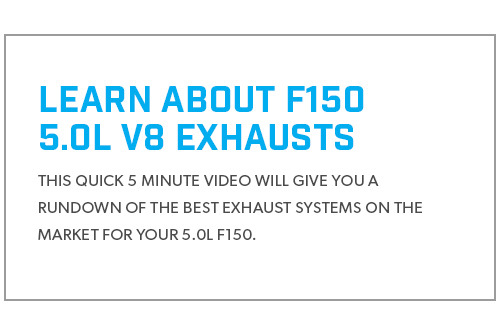 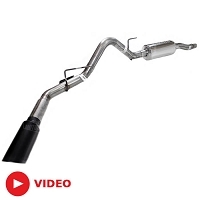 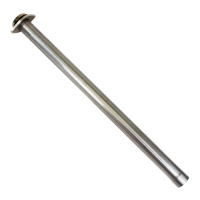 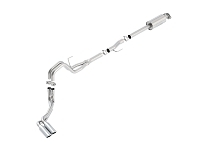 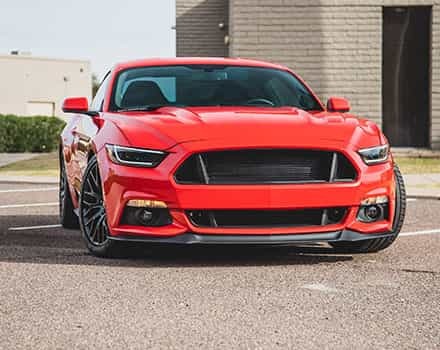 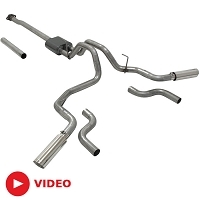 Luckily, a 2015 to 2018 F150 5.0L cat-back exhaust kit will fix that little problem in one heck of a hurry. 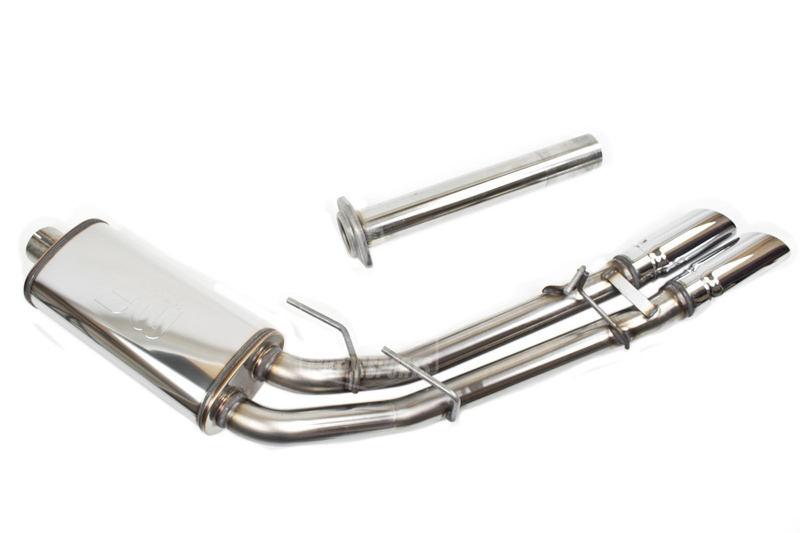 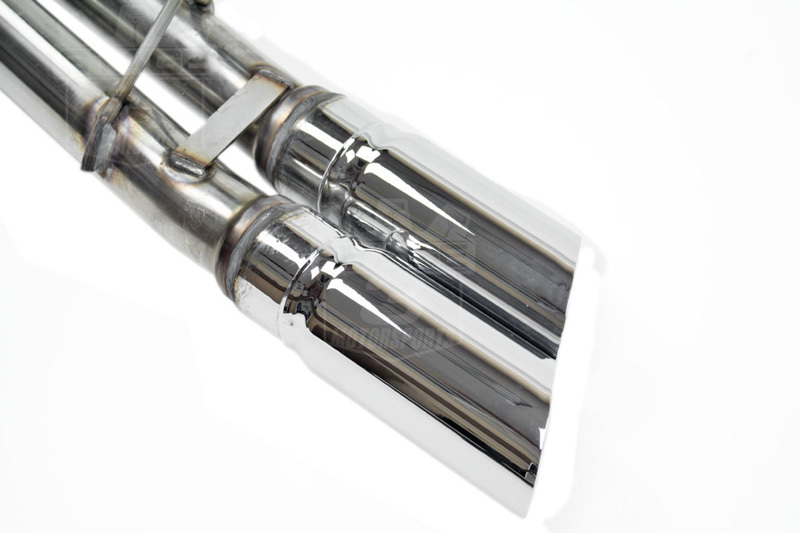 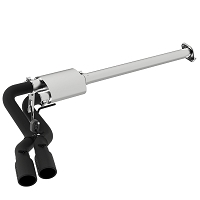 Cat-backs replace your stock muffler, outlet tubing, and sometimes your factory resonator (depending on the system) with new components that are tailor-made to produce an incredible and extremely aggressive sound. 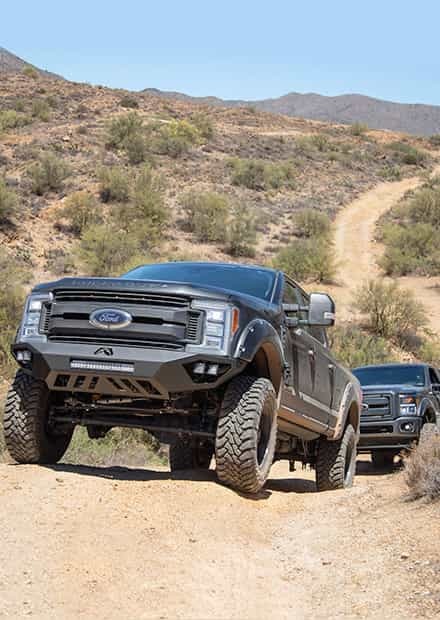 Many cat-backs can even alter the looks of your truck by changing up the top sizes and exit locations. 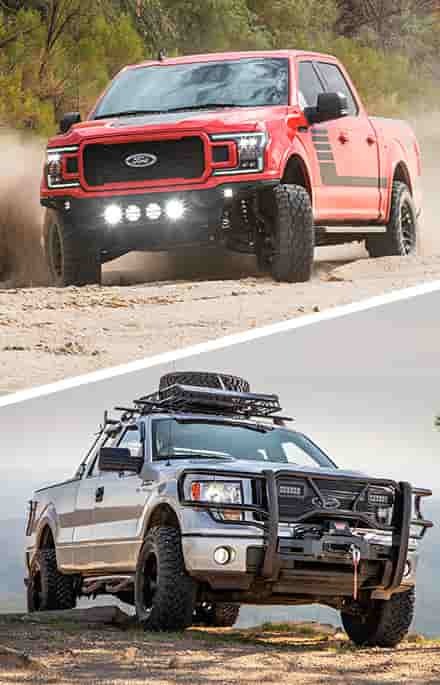 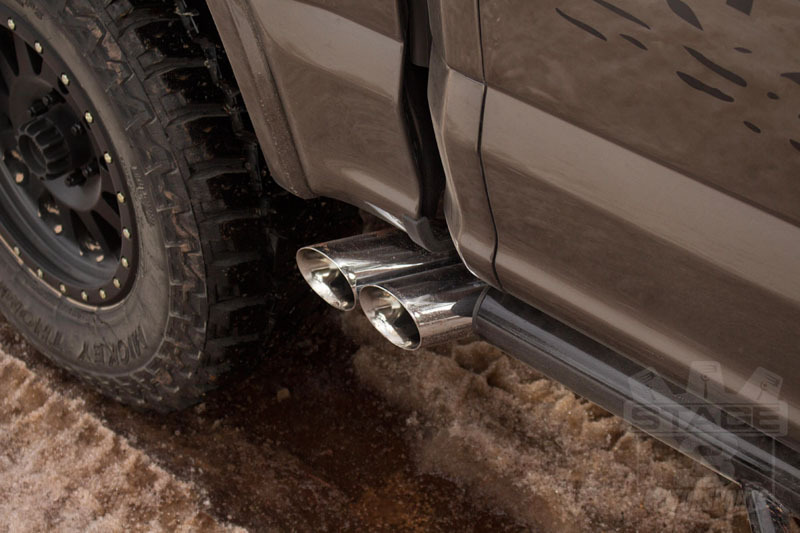 For our 2015 F150 5.0L Desert Runner Project Truck, we wanted both sound and a change in scenery, so we grabbed Magnaflow's Twin Pre-Tire Exit Cat-Back System to give our truck a Lightning-Style look and a great sound all in one place.